A perfect vodka cocktail for the colder months of the year, this Almost a Collins recipe is filled with flavor and unique ingredients. The recipe was created by the Snake Oil Cocktail Company in San Diego, California and pairs a clean, smooth vodka with the interesting combination of blood orange and cinnamon. While the finished flavor is one that is difficult to imagine, the first sip will prove that it really does work. The name "Almost a Collins" references the similarities and differences of this drink to the popular Vodka Collins. Essentially, in this recipe we are replacing lemon with blood orange juice, plain syrup with cinnamon, and club soda with the DRY soda. It is a fun variation and will hopefully inspire you to make similar substitutions to create your own custom cocktails. Add all liquids to an old-fashioned glass filled with ice. Top with Blood Orange DRY and stir. Garnish with a cinnamon stick-speared blood orange wheel. 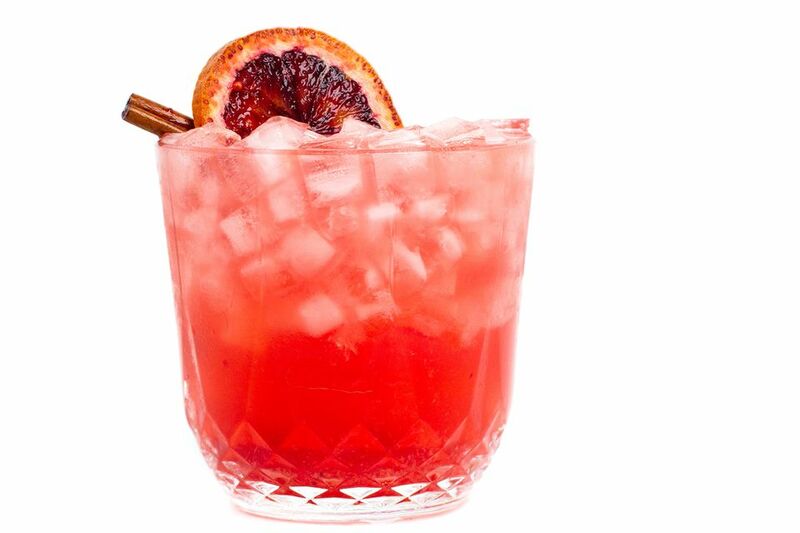 The blood orange comes in the form of two separate ingredients: fresh juice and soda. The first is easiest to obtain when blood oranges are in season, which typically comes during the winter months, and can be juiced just like any other citrus fruit. Bottled blood orange juice is available, though it is not one of the common commercial juices, so it can be difficult to find. The second blood orange ingredient is DRY's Blood Orange soda and it is unlike any other orange soda you have probably had. This soda is a dark, semi-sweet citrus that is naturally flavored and light on the sugar, making it a perfect mixer for cocktails like this.